Recently, through a generous donation from Bryant University, we were able to acquire some “Thinkpads” (like iPads) to use within the classroom. 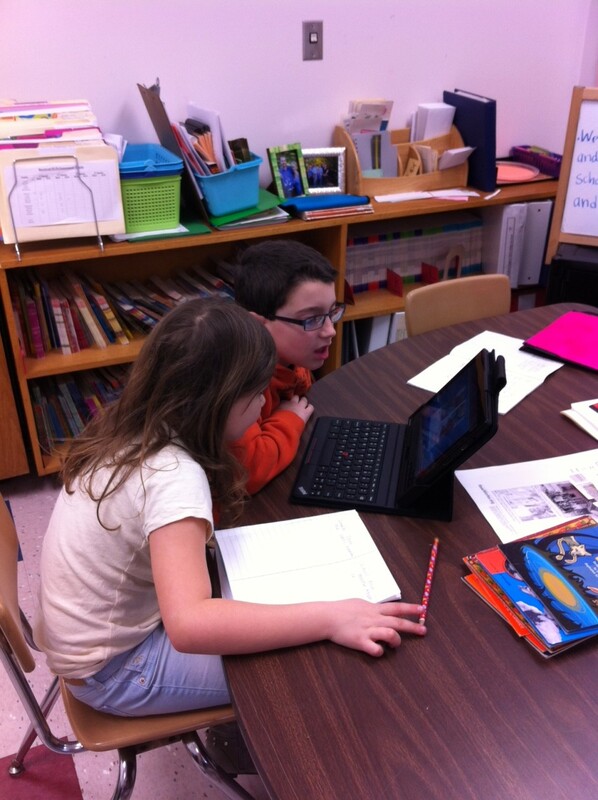 The trick to using technology is to be sure it enhances the learning, instead of being a distraction from the learning. Thinking about the higher expectations of the Common Core State Standards, we want our students to have real experiences with online resources to help them expand their learning and add to their understanding of traditional print sources. Some second graders recently read a printed article comparing and contrasting what school was like long ago and what school is like today. The article offered great information and some black and white photos. Then we found an online article on the same topic which offered additional information and links to videos showing classes then and now. What a deep discussion we had about the information each author chose to include and why! 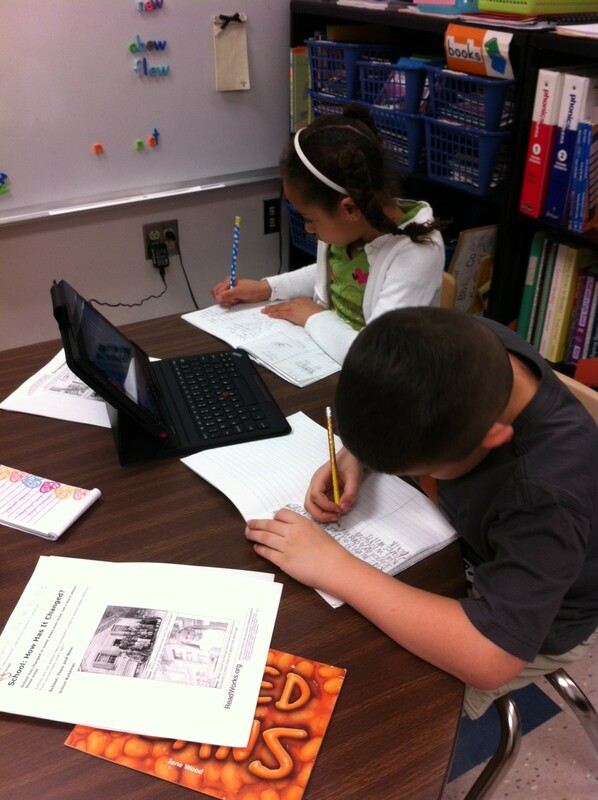 We even analyzed which source provided better or more interesting information. The students then wrote an opinion piece about if they would have liked to go to school 150 years ago (all said “no”), citing information from both sources. We have certainly found a new way to engage students with text!